Knowing you are over the drink-driving limit on a big night out is one thing, but would you be so sure the next morning? It’s 7am the next morning after your big night out. The alarm goes off and you wake up feeling a background ache in your head, dry mouth and a slight uneasiness in your stomach. You grab a strong coffee, have a cold shower and jump in the car to head to work. Would you know if you are still over the drink-drive limit from the previous night? In fact, would you even think to ask yourself? People getting behind the wheel the morning after a big night out, while still over the legal alcohol limit, is a growing danger. According to the Department for Transport (DfT), one in five drivers found drink-driving, are caught the morning after. Worryingly, more than a third of people underestimate when it’s safe to drive the next day and nearly half of young drivers admit driving after drinking heavily the previous evening. It’s impossible to speed up the ‘sobering up’ process, no matter how many strong coffees or cold showers you have. Although you may feel okay the next morning, you may still be over the legal alcohol limit. Time is the only thing that will get the alcohol out of your system. So, the next question is, how much time do you need to allow? Police figures suggest that the number of motorists arrested for drink-driving the ‘morning after’ has risen. According to government guidelines it takes at least one hour for every half pint of beer, glass of wine or measure of spirits to get out your system. Of course, there are all sorts of factors that can affect this, such as the varying glass sizes, strength of alcoholic drinks, and the fact that we are all different shapes sizes, including weight, gender, and metabolism rates. So, how do you calculate approximately how long it takes for alcohol to pass through the body? One hour per unit – on average it takes around one hour for each unit of alcohol to pass through the body – although, as mentioned already, this can vary according to different factors. Add an hour – it takes around an hour from when you start drinking for alcohol to be fully absorbed into the bloodstream. When you stop drinking – to be on the safe side, experts recommend that the calculation should start from when you finish drinking. This is, of course, only a guideline. There’s no way of knowing exactly how long it takes to sober up after drinking; even a very small amount of alcohol will affect your ability to drive safely. Every year in August, RoadPeace – the national charity for road traffic accident victims – raises awareness to remember those killed or injured on our roads during National Road Victim Month. 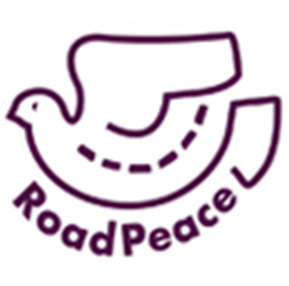 RoadPeace is a charity which provides practical information, advocacy, and emotional support to those bereaved or seriously injured in a road crash. As anyone who has experienced the devastating aftermath of an accident will know, emotional and practical support are vital, as it is a hugely overwhelming time for an individual and their family. RoadPeace works hard to provide crucial advice and guidance during this difficult time, campaigns throughout the year to reduce road danger, makes sure that any injustice that families encounter are highlighted so that lessons can be learned, and promotes safer roads in our communities. Sadly, drink-driving remains a menace on our roads, devastating people’s lives every day. It is worrying that such a high proportion of drivers seem unaware of the dangers of driving the morning after drinking the night before. The effect of alcohol on driving ability lasts much longer than many people realise. 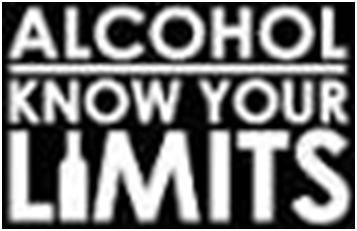 Drivers who have drunk excessive amounts may not feel drunk the next morning, and may not be able to smell alcohol on their breath, however, they could still be a danger to pedestrians, other road users, and indeed themselves. As a personal injury solicitor, I see firsthand the devastating effects that a serious life changing injury, or death, can have on an individual and their family. It is incredibly sad to see the accidents my clients have been involved in which could have been avoided had the driver been taking more care, or not been under the influence of alcohol. The effects of alcohol can include, slower reaction times, poorer judgment of speed and distance, reduced field of vision, not to mention the fact that it can make a driver feel overly-confident and more likely to take risks when driving, which increases the danger to all road users. There is no excuse for drink-driving. 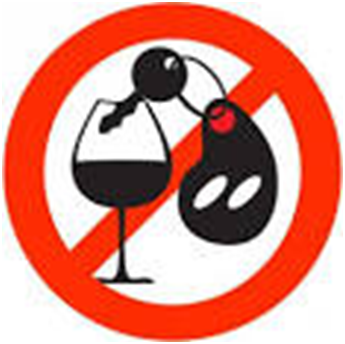 Comments such as, “I can handle my drink”, or “I’m only going down the road”, are not acceptable. In fact, a large proportion of all drink-driving accidents occur within three miles of the start of the journey. There’s no fail-safe way to guarantee all the alcohol you’ve drunk the night before has left your system, so it’s important not to take risks. Drivers committing to taking more care and responsibility with their alcohol consumption can make a massive difference to the safety of our roads and even save lives. It is essential that all drivers take responsibility for their own actions and to make sure they do not put others or themselves in danger. Charities such as RoadPeace need our continued support to ensure that the awareness raised during this month’s National Road Victim Month, continues all year round. If you or a loved one have suffered a life changing injury as a result of someone else’s negligence, contact us online or call 020 7288 4800 for expert advice from our dedicated team.